The dermatology drugs market consists of sales of dermatology drugs and related by entities (organizations, sole traders and partnerships) that produce dermatology drugs to treat skin diseases. This industry includes establishments that produce drugs to treat diseases such as rosacea, dermatitis, hyperhidrosis, androgenic alopecia, acne, microbial infections and other skin disorders. The dermatology drugs market size is expected to reach $40 billion by 2022, significantly growing at a CAGR of around 5% during the forecast period. The growth in the Dermatology drugs market is due to increase in the number of indications treated by topical drugs coupled with increase in acne and rosacea patients will drive the market for dermatology drugs. However, the market for Dermatology drugs is expected to face certain restraints from several factors such as rising government regulations and shifting trends towards Ayurvedic medicines. 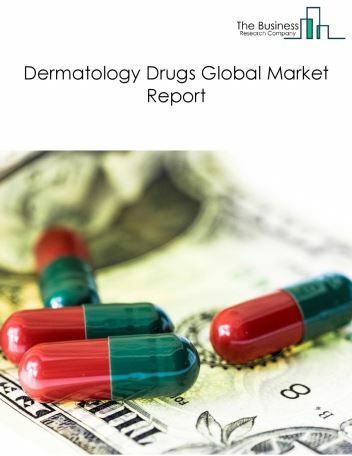 The global dermatology drugs market is further segmented based on type and geography. By Type - The dermatology drugs market is segmented into snack and non-alcoholic beverage bars, drinking places (alcoholic beverages) among these segments, the snack and non-alcoholic beverage bars market accounts for the largest share in the global Dermatology drugs market. By Geography - The global dermatology drugs is segmented into North America, South America, Asia-Pacific, Eastern Europe, Western Europe, Middle East and Africa. Among these regions, Asia Pacific was the largest region in the global dermatology drugs market. Pharmaceutical companies are offering new drugs referred to as immune modulators for the treatment of skin diseases such as eczema. Eczema is a chronic skin condition caused by the lack of skin proteins that results in inflammation and irritation in the skin. These drugs are used to externally treat the skin without changing the immune system of the body. In addition, unlike topical steroids, these new medications do not cause thinning of the skin and breaking of superficial blood vessels. Tacrolimus (Protopic) and Pimecrolimus (Elidel) are major drugs available for the treatment of eczema. Potential Opportunities in the Dermatology Drugs Market Due to approval of large number of drugs approved by FDA and other regulatory bodies to cure increased skin conditions and disorders the scope and potential for the global dermatology drugs market is expected to significantly rise in the forecast period. The biologics industry comprises companies manufacturing biological products. Biological products include a wide range of products such as vaccines, somatic cells, tissues, and recombinant therapeutic proteins. Biologics can be composed of sugars, proteins, or nucleic acids or complex combinations of these substances, or may be living entities such as cells and tissues. These products are isolated from natural sources such as human, animal, and microorganisms by biotechnological methods and other cutting-edge technologies. Specifically, most biologic medicines are developed using recombinant DNA (rDNA) technology. 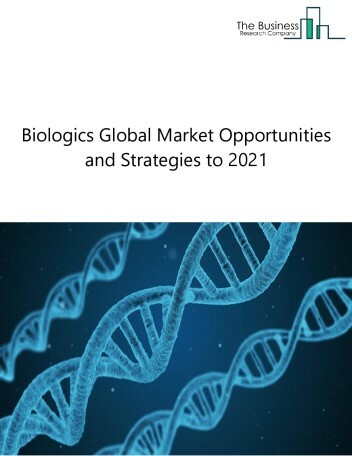 The global biologics market was worth $221 billion in 2017 and is essentially segmented into monoclonal antibodies, therapeutic proteins and vaccines. In 2017, 12 biologics were approved in the USA, 10 in European Union and 7 in Japan. There are over 1000 biologics under development which will drive the biologics market in the future. Cancer is the therapeutic area with maximum number of biologics under development, whereas Alzheimer’s has the least number. 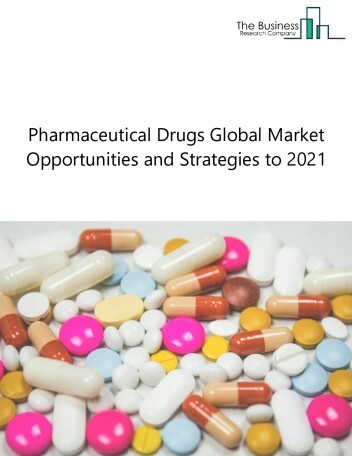 Of the total biologics market across the globe, monoclonal antibodies (mAbs) accounted for the largest share due to high prevalence of diseases such as rheumatoid arthritis, Crohn’s disease and ulcerative colitis for which monoclonal antibodies are used. Monoclonal antibodies is expected to be the fastest growing segment with a CAGR of about 9.85% during the forecast period. The pharmaceutical drugs industry develops drugs to diagnose, cure, treat or prevent diseases. Pharmaceutical drugs are subjected to various laws and regulations that deal with patenting, testing, safety, efficacy and marketing. Pharmaceutical companies produce pharmaceutical drugs made from active pharmaceutical ingredients (API) and excipients. 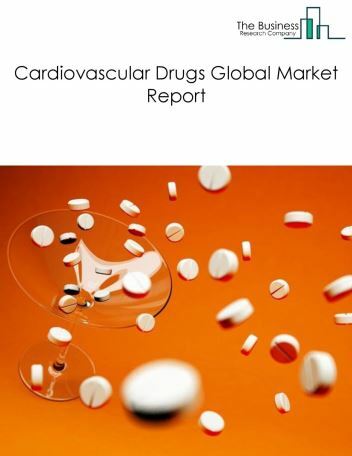 The cardiovascular drugs market consists of sales of cardiovascular drugs and related services by entities (organizations, sole traders and partnerships) that produce cardiovascular drugs to treat cardiovascular diseases. This industry includes establishments that produce anti-hypertensive drugs to prevent heart failure by controlling blood pressure and hypolipidemic drugs that reduce lipid and lipoprotein levels in the blood. It also consists of establishments which produce antithrombotic drugs to treat arterial and venous thrombosis. 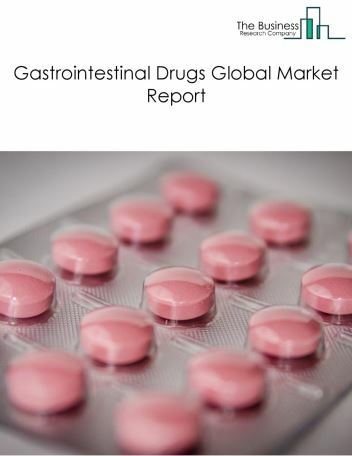 The gastrointestinal drugs market consists of sales of gastrointestinal drugs and related services by entities (organizations, sole traders and partnerships) that produce gastrointestinal drugs to treat gastrointestinal diseases. This industry includes establishments that produce drugs such as antacids to treat acid reflux, indigestion and others, antiulcerants drugs to treat intestinal ulcers, antiobesity drugs and antiemetics drugs. It also consists of establishments which produce essential nutrients such as vitamins and mineral supplements. 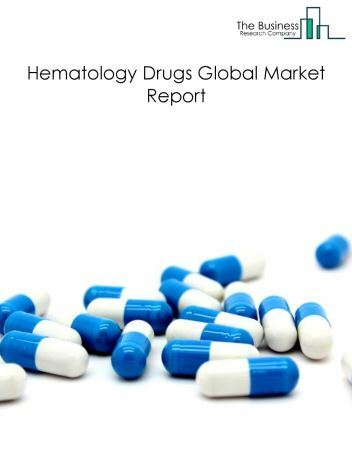 The hematology drugs market consists of sales of hematology drugs and related services by entities (organizations, sole traders and partnerships) that produce hematology drugs to treat diseases such as genetic disorders, anemia, other related diseases. This industry includes establishments that produce blood products such as red blood cells, white blood cells, platelets, and fresh frozen plasma. It also consists of establishments which produce of anemia and other blood disorder drugs to treat anemia, hemophilia and blood clots. 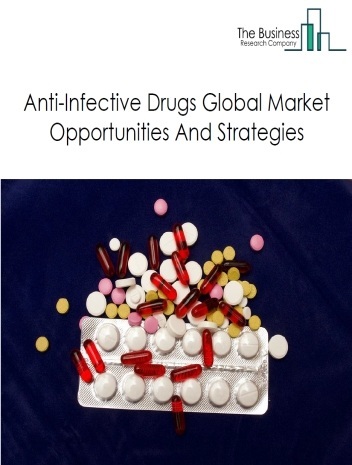 The anti-infective drugs market consists of sales of anti-infective drugs and related services by entities (organizations, sole traders and partnerships) that produce anti-infective drugs to treat microbial infections. This industry includes establishments that produce antibiotics to treat bacterial infections, anti-viral drugs to treat viral infections, anti-fungal drugs to treat fungal infections, anti- helminthic drugs to kill internal parasites and antiprotozoal agents. 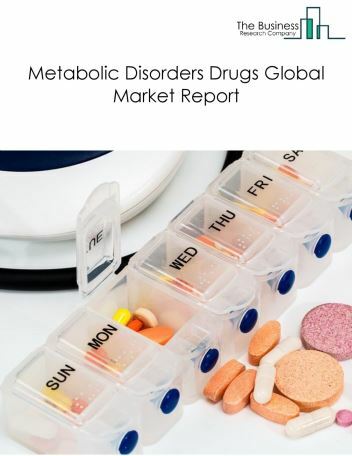 The metabolic disorders drugs market consists of sales of metabolic disorders drugs and related services by entities (organizations, sole traders and partnerships) that produce metabolic disorders drugs to treat metabolic diseases. This industry includes establishments that produce drugs such as insulin, pramlintide and other drugs to treat diabetes, anti-thyroid drugs to treat hyperthyroidism, and other drugs to treat pituitary gland, adrenal gland and parathyroid gland disorders.